There were 100 press releases posted in the last 24 hours and 153,259 in the last 365 days. 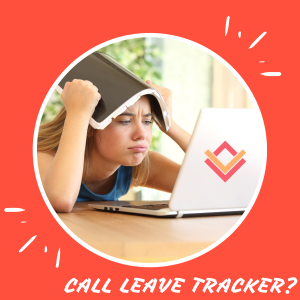 The time-consuming task of tracking employee leave is now easier, due to CaptureLeave software’s enhanced reporting, document manager, and messaging features. LOUISVILLE, KY, USA, January 28, 2019 /EINPresswire.com/ -- Software company, Telania, has announced some new features for their web-based absence management system, CaptureLeave, which allows organizations of any size to do away with the complicated task of tracking employee time off with spreadsheets. New features for the CaptureLeave leave management system include: Outlook, iCal, and Google Calendar integration, Document Management, Messaging, Manager Profile, Enhanced Reporting, and Smart Leave Request. With our Outlook, iCal and Google Calendar integration, users are able to quickly and easily add their approved leave requests to their personal or work calendars. With the simple click and add feature, users can add their approved leave of absence requests. Users will no longer need to maintain several different calendars of their leaves. Managing documents in CaptureLeave is also a breeze, allowing you to create, organize, and send documents such as company policies to groups of people or your entire organization. You even have the option of limiting access of documents to specific users. Documents can be added in forms such as Word, videos, audio, HTML, pdf and more. CaptureLeave’s messaging system allows for fast communication among admin and team members, even allowing documents such as an absence policy to be attached for easy viewing. Enhanced reporting allows admins and managers to quickly access report dashboards or filter leave reports using different search parameters. End users can also see utilization reports so they can better plan the leave of absence requests. The custom leave report gives quick insight if a particular group or individual appears to be more absent than present. Logs allow you easily track any changes in the system. CaptureLeave founder, Don Weobong, talks about how these new features have naturally evolved to reflect the growing needs of organizations and the need for quick communication, as well as reducing the time spent on tasks like leave management, “the CaptureLeave platform continues to engage our users and build out tools which make their lives easier and their work more efficient. We are humbled by the support we continue to receive from our users”. One of our customers, Lori Chadwick, Director of Finance at Charter Financial Publishing Network, had this to say, "CaptureLeave is cost-effective, easy to use and provides great support. All the information is at my fingertips, and no time is wasted documenting and calculating time taken/left. The information is easily accessible and accurate." To learn more about CaptureLeave and the advanced attendance management features delivered through the new platform, visit CaptureLeave.com. Get a free live demo of CaptureLeave or get started creating your free leave tracking account here. Telania, LLC. is a software provider catering to the needs of small and medium-sized businesses. Telania offers products that promote productivity and efficiency. Founded in 2002, along with CaptureLeave, Telania also created eLeaP, which is a flexible online learning management system. The company is based in Louisville, Kentucky and continues to positively change how businesses work and operate on a daily basis. To learn more, visit the Telania company site. For more information about the eLeaP learning management system, visit eLeaPsoftware.com.